The law firm of Goldsmith & Guymon was established in 1996. The Firm is committed to providing quality legal services, as well as prompt professional attention to its clients. We are also supporters of the community in delivering pro bono services to those who cannot afford proper representation and actively participate in bar related activities, including bar leadership at both the local and state level. The Firm was awarded the honor of Pro Bono Law Firm of the Year twice since 2001 (2001 and 2006) by Clark County Legal Services. In 2003, the Clark County Bar Association recognized the Firm for its community involvement and awarded it the Ambassador Award. 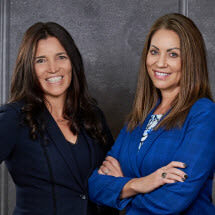 In both 2007 and 2008, Legal Aid Center of Southern Nevada formerly know as Clark County Legal Services, recognized the Firm for accepting more pro bono cases than any other law firm in Clark County. In 2011, both founding partners were awarded the Pro Bono Attorney of the Year Award.